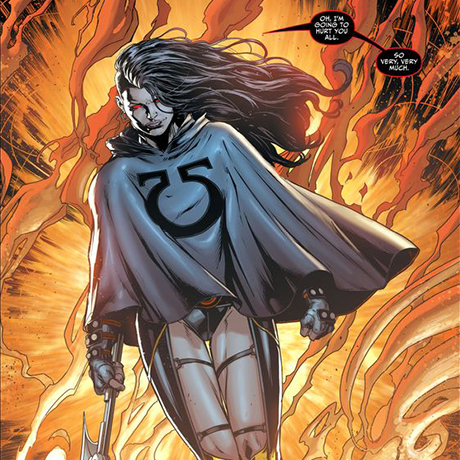 Daughter of Darkseid and Amazonian assassin Myrina, Grail is a deadly mix of Amazon and New God physiology. Not only does she share many of her father's powers, she's also an accomplished sorceress. Sent across worlds to seek a being powerful enough to kill her father, Grail brought the Anti-Monitor to Earth and instigated a war. Having succeeded in her quest to slay her father, Grail resurrected him before eventually returning him to an infant state and raising him herself.